In my mess of a basement, I have a lot of scrapbooking supplies. Let me write that again…lots and lots of scrapbooking supplies! 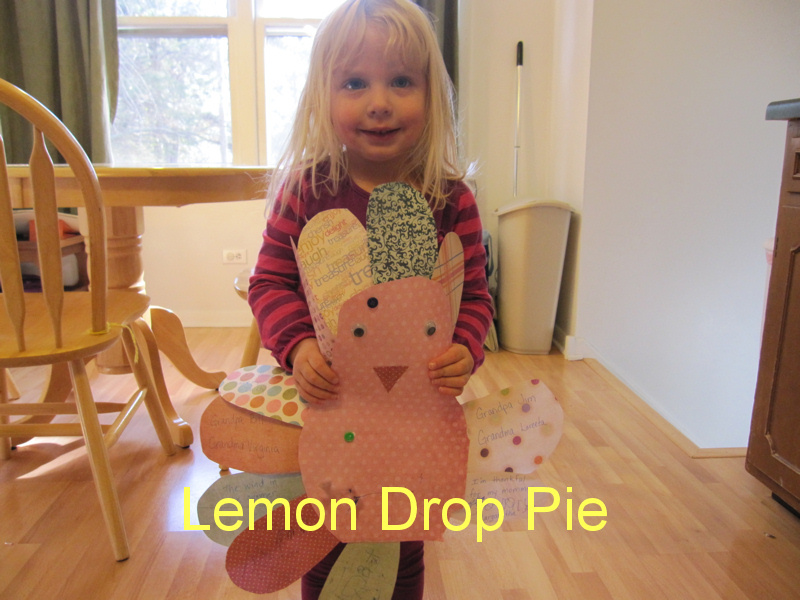 When I came across this craft idea at Adventures in Mommy Land: Teaching Children to be Thankful, I was the thankful one! These turkeys allowed me to use some of my scrapbook paper stash with such cute results. First, I cut these turkey body and feather tracers out of tagboard. Tagboard is just a little heavier than paper, so it is good for tracing around. I showed the girls my generous supply of scrapbook paper, and we chose patterns and colors that we liked. On the back of the scrapbook paper, Lily and Emmy each traced around the body tracer with a pencil. Then they cut it out with their safety scissors. Both these activities are great for hand/eye coordination! I didn’t worry about whether or not their tracing and cutting were perfect. Control freak mommy had to step out for the day. Then we traced and cut out the feathers. Emmy got tired after two feathers, and I did the rest of them for her. Lily wanted to keep going, and she cut out eight of her feathers. We glued the feathers on the back of the turkey body first. We then turned the turkey over and added a beak, eyes, wattle and feet. 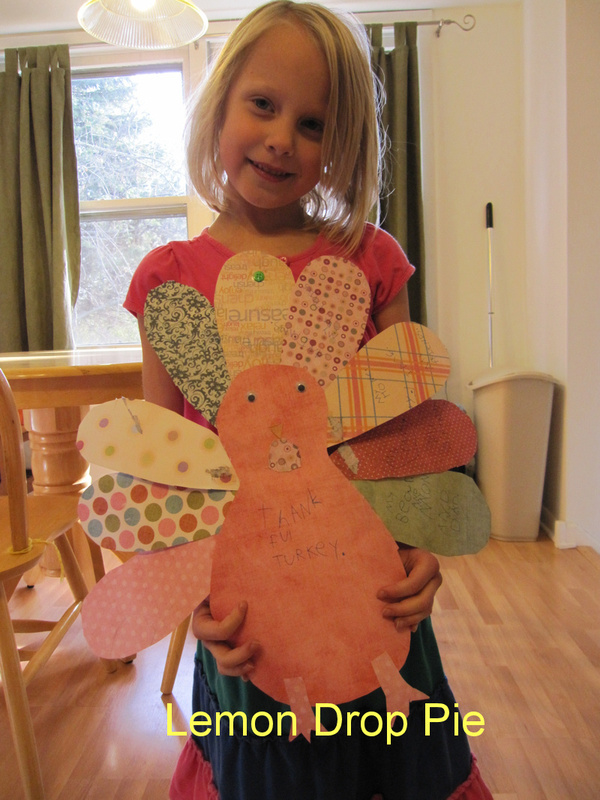 Once our turkeys were put together, we wrote the things we are thankful for on the turkey feathers. We had a lot of fun! I think I need to make a New Year’s resolution early…I want to do more crafts with my girls! They really enjoyed themselves. And that’s something to be thankful for! So cute! I would love to do this with Sprite. I just need different color paper. And glue. Scissors too. Um, do you need time as well?? :-)I actually have 2 days with Sprite to myself next week before we leave for vacation so I think I will help myself to my mother's-in-law scrapbooking scraps and try this then! They came out so cute!! I never thought of my scrapbook paper patterns as feather possibilities, but yes indeed! Those turkeys are adorable 🙂 What a cute idea. I know what you mean about "control freak mommy." I'm always trying to keep her in check too! Love the turkeys! And get crafting! Christmas is coming up as well… We want to see more.